B.A. 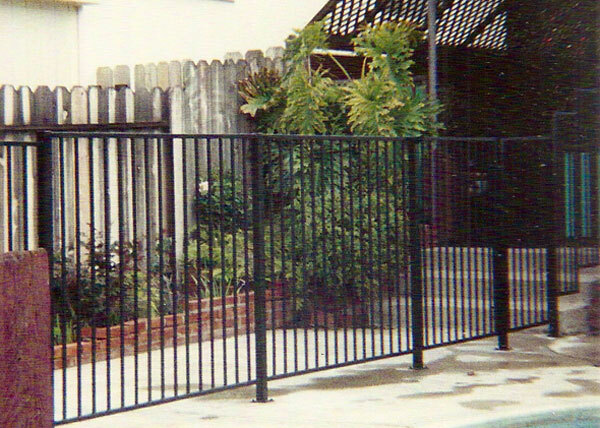 Ramirez & Sons Ornamental Iron Works, Inc. is San Diego's best choice for custom iron fences. 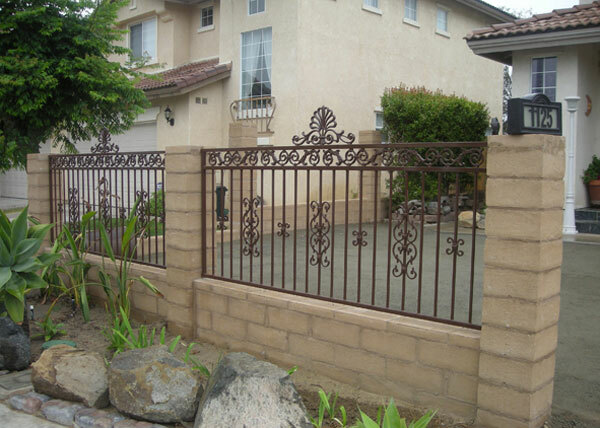 We have more than 30 years of experience designing, crafting, repairing, replacing, and installing ornamental and wrought iron fences. We can install our fences around pools, front yards, and property perimeters, as well as between masonry posts or walls, and add matching entry or driveway gates. As a testament to the quality of our work, reliable results, excellent customers service, and fair rates, we have 1,000s of satisfied clients across San Diego County and a high rate of referrals and return customers. 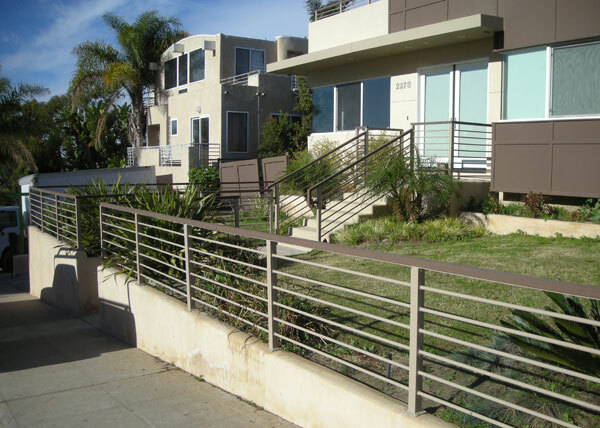 Our fences are precisely built precisely to each customer's specifications. We'll work closely with you to refine your vision, suggest money-saving alternatives, and help correct any possible weaknesses in the design. Because most of our ironworkers have been crafting fences for decades, we know how to help each client get the best possible iron fence and gate for their budget. 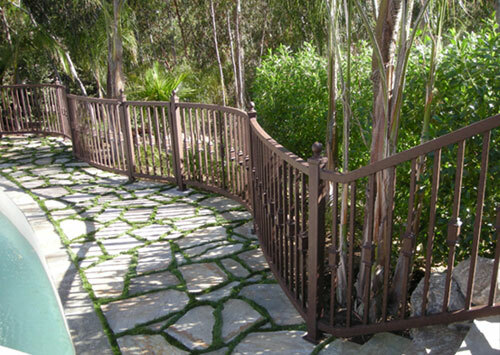 To produce a fence that is functional, visually stunning, and enduring, we combine Old World hand-forging techniques with modern-day aesthetics and the industry's highest standards for design and craftsmanship. We work primarily with moderate to heavy-weight steel (tube or solid), invest a lot of time into design development, and comply with all applicable building codes, ADA standards, and homeowner association (HOA) CC&R requirements. All fences are backed by a two-year labor and materials warranty. 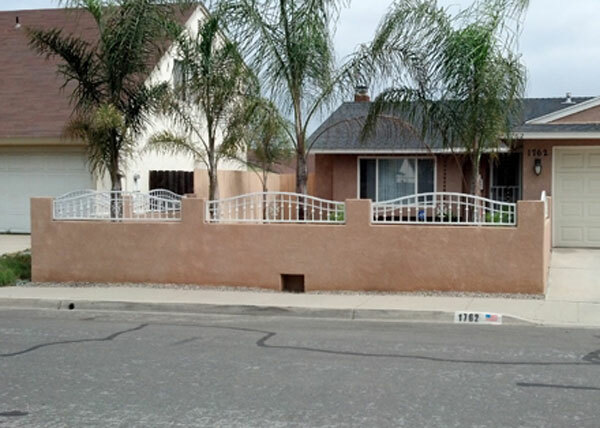 Whether you need a simple security fence or a highly ornate fence and gate, call B.A. 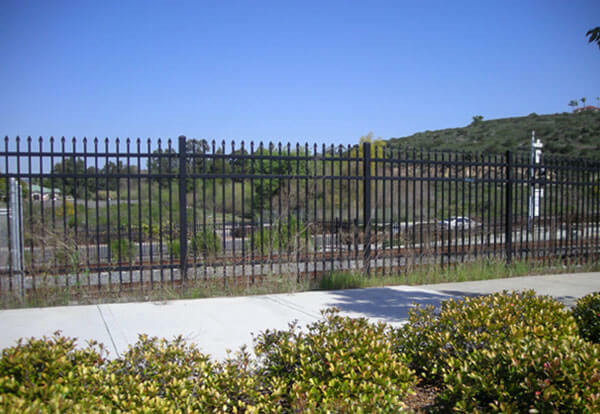 Ramirez & Sons Ornamental Iron Works, Inc.. We are a San Diego-based, full-service iron fence contractor that is fully licensed, bonded, and insured. Online estimates are always free. Our hand-forged iron fences and gates are completely customizable and can be designed to accommodate budgets of all sizes. Both fences and gates can be embellished with squares, rectangles, scrolls, oak leafs, rose leafs, and more. Options include tube or solid steel; freestanding or wall-mounted; a smooth or hammered look; powder coated, metallized, or galvanized finish; and rounded or sharp spear points. 100s of powder coat finish colors to choose from. Add wood, copper, or brass backings/screens to improve privacy or create a striking look. Gates can feature manual access, keypad access, electronic locks, deadbolt, a simple gate latch, automated operation, and more.